The art of printmaking is being celebrated in a new exhibition opening next week at the University of Kent’s Studio 3 Gallery. 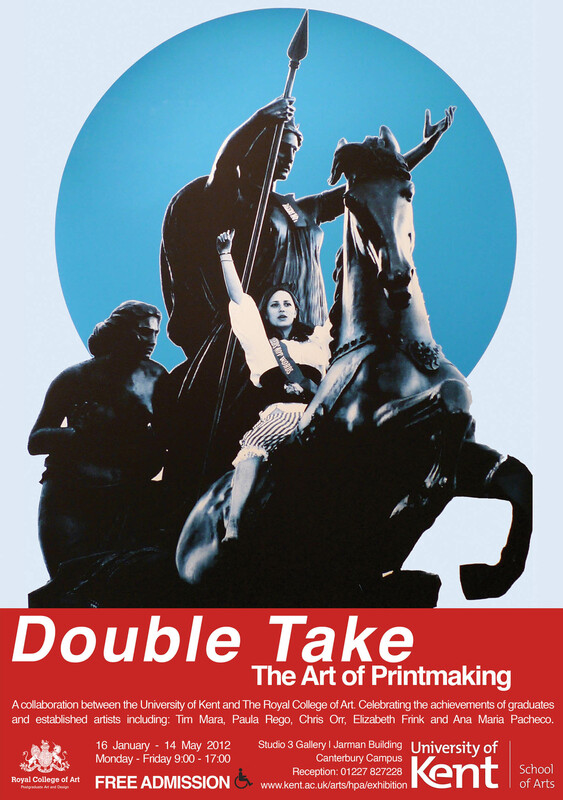 The University is collaborating with the Royal College of Art (RCA) to host Double Take – The Art of Printmaking, which will feature artists such as Tim Mara, Paula Rego, Chris Orr, Elisabeth Frink and Ana Maria Pacheco. Running from 16 January to 14 May, the exhibition will also showcase the work of recent graduates of the RCA’s MA in Printmaking and feature a ‘vibrant and eclectic mix of styles and techniques’, according to Studio 3 Gallery curator Ben Thomas. ‘Some works on display will challenge assumptions about prints through their scale, use of materials or through technique. The subordinate status of the print to other art forms is contested, bringing printmaking into play with painting, photography and digital design and animation,’ he said. One of the artists exhibiting, Professor Jo Stockham, Head of Printmaking at the RCA, said: ‘This has been a fantastic opportunity to share our extensive archive of work produced in the department with informed and enthusiastic researchers and a new audience. Key works from the RCA’s printmaking archive have been selected for the exhibition by recent graduates as influences on their work. The majority of works exhibited will be from the last five years, but the earliest print dates back to the 1930s.